Chelsea legend Frank Lampard opines that his former club would emerge the winners of the Premier League at the end of the season. However, he praised Tottenham Hotspurs as worthy opponents. Chelsea saw off their opposition Everton FC 3-0 and Spurs followed suit. Spurs defeated Arsenal to keep up the pressure on Chelsea. Chelsea midfielder Frank Lampard is one of the decorated players will comes to winning the FA Cup. He has managed to win the title an incredible four times during his time at the blues. Chelsea are once again back at the Wembley, but they need to get past Tottenham in order to reach the finals. Speaking ahead of the game, Lampard reckons that one of the greatest strength of Tottenham is the presence of midfielder Dele Alli. The 21-year-old has been able to make incredible strides in the game and he is now regarded as one of the top players in world football. Former Chelsea midfielder Frank Lampard has branded N’Golo Kante as the best midfielder in the world right now. The all-action player was signed from Leicester City in the summer for around £ 32 million. However, he has proven to be one of the best buys in the summer by any club, as he has been immense in helping Chelsea move up the Premier League table. The blues have a 10 point advantage over Tottenham and Manchester City with only 11 matches left in the season. Apart from his defensive duties,Kante has also contributed with two goals in all competitions. Frank Lampard is one of the greatest players of all time and is one of the best ever midfielders in the Premier League. The former England international, who retired from professional football last year, was one of a kind, and most of his success came at Chelsea. Lampard did not have much pace and was not exactly a beast physically, but the 38-year-old still managed to control games and weave his magic. The Englishman could play anywhere in midfield, had great vision and creativity, and was always willing to work hard. England manager Gareth Southgate has paid tribute to former Chelsea midfielder Frank Lampard, who recently announced his retirement from the game. Lampard has represented the likes of West Ham, Chelsea, Manchester City, and New York City FC in his stellar career. He also made more than 100 appearances for the England national team. 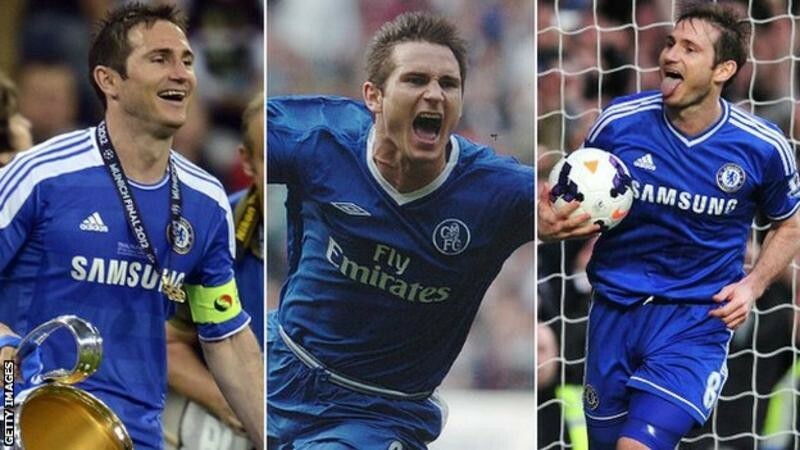 Widely regarded as one of the greatest goal scoring midfielders of all time, Lampard ended up with more than 200 goals for Chelsea in his 13 years at the club. The goal scoring exploits of the midfielder still remain a record. He is Chelsea’s all-time top scorer in all competitions. Frank Lampard says that he expects Chelsea to win the Premier League title this season, as he does not see any club managing to close the gap on the league leaders. Chelsea were eighth in the Premier league after having suffered a 3-0 loss against Arsenal back in September. Since that loss, the club have been able to bounce back quite impressively and established an eight point advantage over Manchester City in the second spot. A combination of Chelsea being supremely dominant coupled with other teams dropping points here and there has resulted in this substantial advantage even before the end of February. Former Chelsea midfielder Frank Lampard has joined the hosts of people opining that the Blues would lift the Premier League title this season following their impressive run. The Stamford Bridge legend says that it is unlikely that Chelsea would be overtaken in the race to the title this season. Chelsea legend Frank Lampard says that he would still consider returning to the English Premier League outfit as a player. The midfielder is the club’s all-time top goalscorer with 211 goals and he managed to get these goals in 13 years at West London. He was recently pictured at Stamford Bridge enjoying one of the games, and this has sparked rumours that he may return to the club in a coaching capacity. Even though Lampard also represented the likes of West Ham and Manchester City during his time in England, he is widely considered as Chelsea through and through. Frank Lampard has yet to make a decision on his next destination after the Englishman left New York City following their exit in the MLS Cup last month when they were defeated by Toronto FC. The former Chelsea midfielder spent two years in the USA playing the in the MLS. He made 30 appearances for the New York club, scoring 15 goals across those couple of seasons. It now looks like Lampard could be heading back to Europe on a short-term deal, similar to what David Beckham did when he left LA Galaxy as he signed for French champions PSG on a six-month contract. Former Tottenham Hotspur manager Harry Redknapp has said that Arsenal forward Alexis Sanchez has a similar mentality to Chelsea legend Frank Lampard. Redknapp’s comments are praises for the Chile international as he put aside fitness concerns to play for Arsenal despite picking up injury whist on international duty.